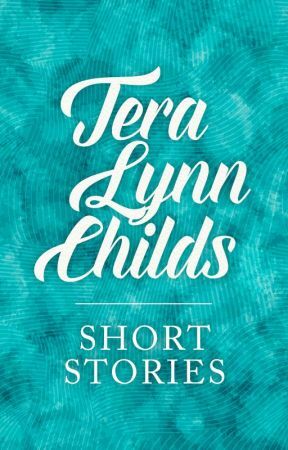 A collection of short stories by Tera Lynn Childs. "You can&apos;t wear that." Nicole gives me a disgust-laced once-over as she walks into my room. "You look like Phoebe-shaped pile of--"
"I do not!" I interrupt before she can finish. My denial doesn&apos;t stop me from looking down at my borrowed outfit with serious doubts. I am so fashion-ignorant. Give me a fun t-shirt and pair of jeans any day. Throw in some heavily scuffed Chuck Taylors and I&apos;m a happy girl. My standard uniform is not, however, the kind of outfit suitable for an important date. Nothing in my wardrobe is suitable for an important date. And tonight is an important date. After scouring my own clothes for hours, I&apos;d finally sucked it up and knocked on Stella&apos;s door. "I was going to say pile of prep, drama queen," Nicole says, rolling her eyes at my assumption. "Were you going for the mini-Stella look?" After tossing her messenger bag on my clothes-covered bed, she starts digging through my drawers. 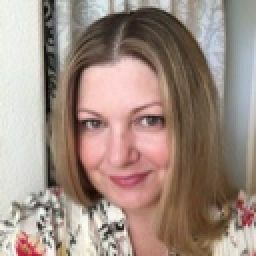 I decide not to admit that the lavender cardigan and white satin headband had come from Stella&apos;s closet. Desperation might have blinded my judgment. "I need help," I admit, tugging the headband out of my hair. "I&apos;m no good at dressing like a girl." Nicole throws me a look that says, Obviously. "I&apos;m freaking out." I shrug off the cardigan and hang it over the back of my chair-Stella would smote me for sure if I brought it back wrinkled. "Griffin and I only get one first Valentine&apos;s day. I don&apos;t want to mess it up." "Chill," she says with the kind of relaxed attitude only she can bring off. "It&apos;s totally under control." Standing there in a plain white tee and my one pair of dark wash jeans, I&apos;m glad one of us has confidence. Nicole&apos;s face is set in a look of intense concentration. For a girl whose makeup skills seem to include eyeliner, eyeliner, and more eyeliner, she seems to be pretty handy with blush brush. "I don&apos;t see why you don&apos;t just zap it on," I complained. Sitting perfectly still with my back to the bathroom mirror is starting to make me twitchy. "Let me enjoy my artisticness." She swirls her brush in the sparkly eyeshadow we, er, borrowed from Stella. Then, holding the brush poised above my eye, she asks, "Unless you wanted to try your hand at zapping yourself some facepaint?" I can&apos;t see my face, but I&apos;m pretty sure I pale at the suggestion. The memory of my last powers snafu-where I ended up in a bathtub full of blue Jell-O-don&apos;t ask-is still fresh on my mind. And my toes. I think they&apos;re still a little blue around the edges. "Thought not," she says, then goes back to dusting shimmer on my brow. I have to trust her. She could totally zap my tongue into a frog if I didn&apos;t. Besides, she has way more style quotient than I ever will. Even if that style is a little heavy on the punk rock side. And she managed to find something totally date-worthy in my very limited wardrobe: a short white skirt from my one attempt at playing tennis (trust me, hand-eye coordination and I aren&apos;t on speaking terms), a super-soft red v-neck sweater, and the pair of plain white Keds I&apos;d borrowed from Stella. I feel ready to take on Valentine&apos;s day. Or Venus and Serena Williams. A few seconds later Nicole leans back, gives my face one last inspection, and pronounces me done. As I spin around to inspect her work, Nicole says, "Griffin won&apos;t know what hit him."